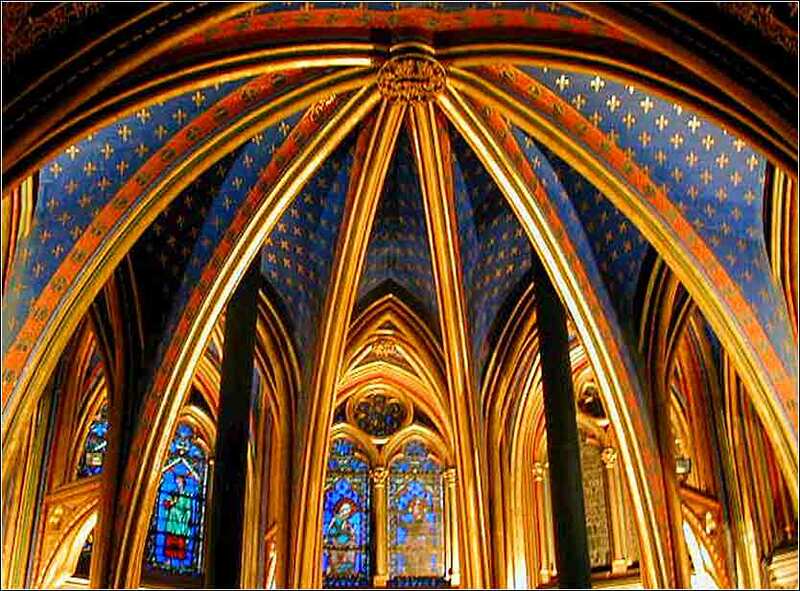 The dome of the ancient upper chapel in Sainte-Chappelle, Paris, built in 1248 by King Louis IX (restored 1855). Our “Virtual Sunday Church” this week takes us to Church of the Redeemer (Episcopal) in Morristown, New Jersey. This is a sing-along hymn! O Merciful God, the Father of our Lord Jesus Christ, who is the Resurrection and the Life; whoever lives and believes in Him, will not die eternally, but have everlasting life. You have taught us, by the holy Apostle Paul, not to be sorry, as men without hope, for those who sleep in him. I humbly beseech you, O Father, to raise me and all who confess your holy name, from the death of sin unto the life of righteousness; that, when we depart this life, we may rest in Him; and that, at the general Resurrection in the last day, we may be found acceptable in your sight. I pray that you will give us that blessing, which your well-beloved Son will then pronounce to all who love and fear you, saying, Come, you blessed children of my Father, receive the kingdom prepared for you from the beginning of the world. Grant this, I beseech you, O merciful Father, through Jesus Christ, our Mediator and Redeemer. In this you rejoice, even if now for a little while you have had to suffer various trials, so that the genuineness of your faith — being more precious than gold that, though perishable, is tested by fire — may be found to result in praise and glory and honor when Jesus Christ is revealed. Although you have not seen him, you love him; and even though you do not see him now, you believe in him and rejoice with an indescribable and glorious joy, for you are receiving the outcome of your faith, the salvation of your souls. And what is his message to us? Exaltation! If we ever feel that Christianity has burdened us or has been imposed on us, we need to read Peter's letter; for his first sentence sounds like he has won the Powerball lottery. He is sharing with us how incredibly lucky he feels to have been given such a wonderful gift, an inheritance that will never dwindle or fade. Today's lesson describes the great joy that we feel, the enormous burden that Christ has lifted from us. We should never forget how lucky we are. Even when life throws us a curveball, or even a terrible tragedy, we have a ray of light that can always keep us from despair. Because Christ has promised that we will be okay. Nothing in the world can destroy our place in heaven. We have in our hearts a living hope. It cannot be destroyed, it cannot be sullied, and it never loses its power. We can praise God and live our lives in the beauty of holiness, loving God and forgiving our neighbors; any harm we might suffer will fade and disappear, but our life of light, truth, and indescribable happiness will endure forever. 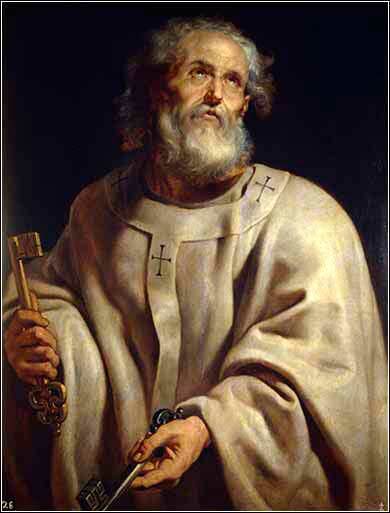 Saint Peter as Pope, Peter Paul Rubens ca. 1610. Matthew 10:11 (ESV): And whatever town or village you enter, find out who is worthy in it and stay there until you depart. As you enter the house, greet it. And if the house is worthy, let your peace come upon it, but if it is not worthy, let your peace return to you. And if anyone will not receive you or listen to your words, shake off the dust from your feet when you leave that house or town.